Sustainable development is an essential component of our wider policy. Our clear objective is to ensure the economic growth of our group whilst preserving mankind and our environment. We strive to ensure the durability of jobs and our landscapes. Through their very essence, the cooperative cellars and by extension Terre de Vignerons fulfil these societal and economic roles: defending, promoting and improving the work of the cooperative cellars’ winemakers with the aim of providing a decent living to their families. The aim is also to preserve indirectly related jobs and, by a ripple effect, to energise the entire local economy in order to strengthen the rural fabric. Taking into account the employees, winemakers and related jobs, Terre de Vignerons contributes to providing a living for more than 5,000 people. Terre de Vignerons has also set itself the mission to assist its members in practising sustainable agriculture that is environmentally friendly. The cooperative model is in itself a sustainable development model, inasmuch as it is a veritable lever for development of the local economy, in respect for human and social considerations. We strive to ensure the quality of our work, products and respect for the environment. We are constantly seeking to make progress. Beyond such purposes, as a player in the agricultural domain, we promote all actions that help to preserve our environment, in particular by tending toward complete certification of our vineyards by the AgriConfiance trust label and by encouraging organic winemaking initiatives. We strive to ensure the quality of our work, products and respect for the environment. We are constantly seeking to make progress. For our customers and partners, these certifications display the reliability of our production and our bottling and packaging facilities, providing them with guarantees of durable quality over time. The winemakers take pleasure in presenting their wines and their work at trade fairs and events dedicated to organic wines. In the wine stores of the cooperative cellars, the harvests of organic grapes follow a specific path, enabling production of high quality organic wines. In commercial terms, these wines are enhanced via adapted packaging and advertising. 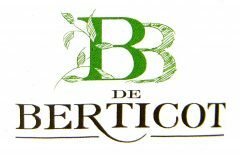 La Cave de Berticot, a member of the union, also proposes guided tours including tasting of the fauna and flora in Berticot’s organic vineyards by a winemaker each summer, which is a genuinely educational approach to sustainable development. We take great care with the quality of our work and products and are constantly seeking to make progress. For us, certifications are a means of displaying our efforts and are also the reward for them. Undergoing regular audits helps us to improve our working methods. The audit requirements become more stringent each year and are a genuine opportunity for us to develop. For our customers and partners, these certifications are guarantees of reliability with regard to the consistency of our products’ quality and safety. Quality Certification that guarantees the compliance of our products with the legal requirements of our customers. both are in particular based on the principles of HACCP, they guarantee the safety and quality of food production. Certifications concerning our organic wines that guarantee the respect of the European specifications, from the vineyards to wine-making, and which allow us to display the French AB and European Organic Wine labels on the products concerned. 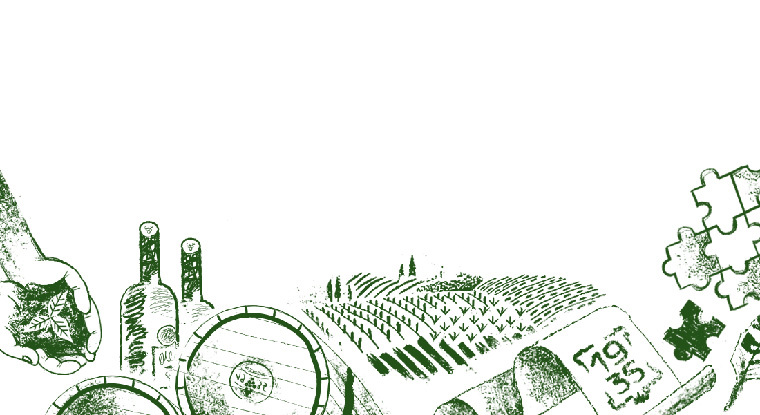 This is a system that formalises management of vineyards and the relations between the union and its wine cooperative members, for greater quality, traceability and respect of good sustainable agricultural practices. All human activity, whether economic or not, has an influence on the environment. No product can claim to not have an impact on the environment. Eco-design involves incorporating protection of the environment into the process as early on as the design of products (goods or services). Our objective is to preventively reduce impacts on the environment, whilst maintaining our products’ quality of use. We therefore continually improve the design process for our products, in particular with regard to dry matter. All of our organic brands are eco-designed! 1 — A lighter bottle with a reduced carbon footprint. 2 — A cork made from cane sugar. 3 — An Absolute Green Line capsule which combines bio-based polyethylene with acrylic ink, renewable materials that can replace petroleum by-products and solvents. 4 — A label made of a minimum of 65% recycled fibres.